Savile Row 18Kt Roundeye is a full rim frame. Features a round shaped lenses, a classic bridge with adjustable nose pads, and hockey or cable temple options. 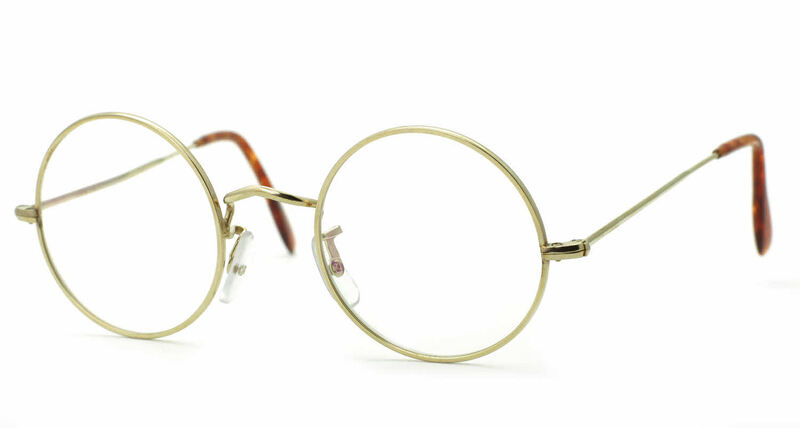 Is all that ship in their Saville Row 18kt Round Eye Eyeglasses --- I have reviewed these glasses previously. To summarize, I like their appearance and functionality a lot. I had some difficulty with the fitting process for the bifocal segment height and had to return them once to get the height correct for me. Frames Direct customer service folks were very friendly and effective in handling that. After a few months of use, the glasses were knocked off my face onto a carpet and in that process, the frames broke at one of the points where the bridge hits the frame. The incident should not have broken the glasses. I called them, and after one misfire, again the customer service people were excellent. I returned them and with the expected 3 to 4 week turnaround, I got my glasses back. I believe they exchanged the entire frame portion for new. I really can not say enough favorable about Frames Direct customer service. They are easy to deal with, reasonable, and fair. As a side note, the description for these glasses indicates that they are made from 18kt rolled gold. When I went around locally to see if someone could simply solder the broken frames, three different places told me that they were not solid 18 kt gold and therefore could not be soldered. The description on the website says: "Every pair of glasses is crafted from 18kt rolled the gold and finished in either an 18kt gold or rhodium (silver color) plating." Regardless of this, I am very happy with the appearance of and functionality of these glasses. However, I do think they should clarify the construction material on their website. These frames are quite expensive and part of the selection process for such items includes material from which they are constructed. The description should not be misleading. This is the 6th pair of glasses purchased from Frames Direct over the years. Obviously very pleased at the products but more so by the customer service. Have nothing but praise for the company. On one occasion I returned a pair for an adjustment. There was no extra charge and the glasses were returned a week later. Very light and beautifully crafted frames. Lens/bridge size (38/20) are the same as my previous frames, but overall width is narrower, so the fit is a bit tight. Total frame width dimension would have been helpful, or, perhaps, cable temples as an option. As this may not be a problem for the larger sizes, I would still highly recommend these frames. Only one complaint. These are expensive glasses and the case they give you for these glasses is too small to hold glasses. Had to buy a new case. You'd think at these prices the glasses would fit the case. Four stars only because of the case. Nice case though, just won't fit the glasses. I love these new Saville Row Glasses!! Beautifully handled by Sarah who helped me with my order. Thank you SO much! !